France / 87 minutes / bw / UGC, Les Films Sirius, Les Productions Jacques Roitfeld, Belmont, Eléfilm, CFDC Dir: Michel Deville Pr: Jacques Roitfeld Scr: Nina Companeez, Michel Deville Story: Main Pleine (1959) by Pierre-Vial Lesou Cine: Claude Lecomte Cast: Eddie Constantine, Pierre Brasseur, Georges Wilson, Christiane Minazzoli, Claude Brasseur, Françoise Arnoul, Jean-Pierre Darras, André Cellier, Christian Barbier, Anouk Ferjac, Marcelle Ranson, Jean-Paul Cisife, Jean-Pierre Rambal, Pierre Asso, Pierre Le Rumeur, Jacques Echantillon, Willy Braque, Jean-Pierre Moutier, Bernard Mongourdin. A movie that’s commonly listed as a comedy although it doesn’t comfortably fit that description. Yes, there’s a lot of—often very funny—comedy in it, but there are elements too of tragedy and pathos. Its mixture of moods is rather like that of real life, in fact, where we can laugh at human follies and weep at their tragic consequences. In Paris, three French crooks—Simon Archambaut (Wilson), Napo (Darras) and Gabriel Farkas (Cellier)—and their expat American colleague, Christopher “Lucky Jo” Jowett (Constantine), use various inventive strategies to commit their crimes; in the opening sequence, for example, we see them dressed as monks to carry out a bank stick-up, afterward fleeing ungainly on foot like crippled bats through the cobbled Parisian streets. The Parisian trio eventually notice, however, that, every time Lucky Jo goes along on a job, something unpredictable goes awry and one of the others ends up doing a jail term. 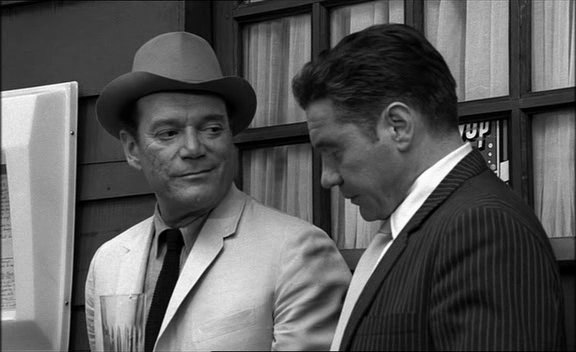 Eddie Constantine as Lucky Jo (left) and Jean-Pierre Darras as Napo. Finally it’s the getaway from an apartment burglary that—hilariously—screws up, and this time Jo himself is dispatched to the slammer for five years. On his release he finds that his old pals don’t want to know him any more. Napo is running a successful niterie. Gabriel and his brother-in-law Paul Garnier (Cisife) are opening a restaurant. Simon is operating a garage on the outskirts of Paris and is married to the seemingly much younger Adeline (Minazzoli). Only Simon offers any measure of friendship beyond giving Jo a fistful of money to go away. And then there’s Jo’s old girlfriend, the lovely Mimi Perrin (Arnoul); no wonder, I mused in shamefully unreconstructed fashion, they called him “Lucky.” She’s prepared to ditch her current lover in order to resume her relationship with Jo. 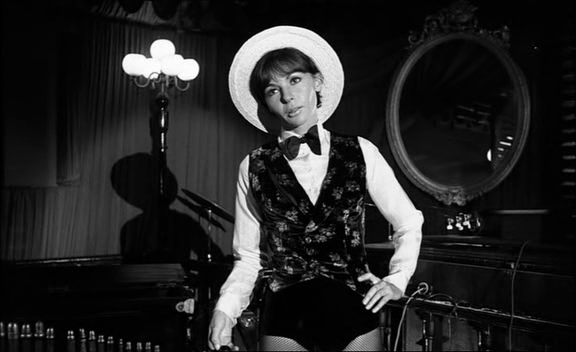 Françoise Arnoul as Mimi Perrin. But then there’s a holdup committed by an unknown band of crooks. A ridiculous coincidence points the cops—led by Commissaire “Loulou” Loudéac (Pierre Brasseur) and Commissaire Odile (Barbier)—in the direction of Simon, and there’s plenty of circumstantial evidence pointing at him and Jo . . . even though, for once, they’re both completely innocent. Christiane Minazzoli as Adeline Archambaut and Georges Wilson as her husband Simon. In line with the classic noir trope, Jo finds himself on the run from the cops, suspected not just of armed robbery but of a vicious murder. His best course, he reasons, is to find the real crooks and hand them over to the cops, all the while sparing his old chums from wrongful arrest. I’m sure you’ll be astonished to learn that things don’t quite work out quite like that. 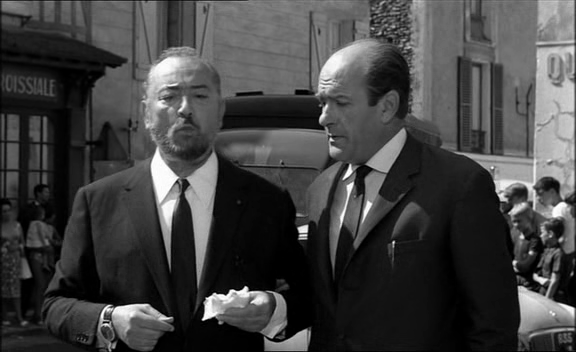 Pierre Brasseur as Commissaire ‘Loulou’ Loudéac (left) and Christian Barbier as Commissaire Odile. As I’ve noted, there’s plenty of humor here. The early, doomed crimes of our quartet play like extracts from a Donald E. Westlake Dortmunder novel. Constantine shows himself to be, like that other fabled tough guy of French cinema, Jean Gabin, a dab hand at stony-visaged comedy in between beating up groups of antagonists who thoroughly deserve beating up. My favorite running gag involves Lucky Jo chivalrously rescuing a pretty barfly (Ferjac) from the unwanted attentions of a series of optimistic males, leading up to a scene in which the bar essentially gets demolished. There’s even an in-joke in the dialogue about Constantine’s most celebrated role, as Lemmy Caution in the series of movies, begun with La MÔME VERT-DE-GRIS (1953), based on the Peter Cheyney character. Claude Brasseur as Loudéac Fils. 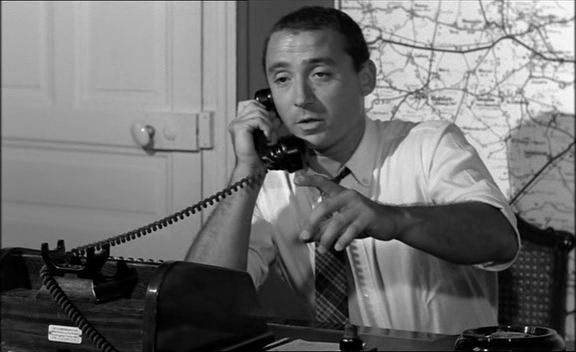 There’s clumsier comedy among the cops, particularly from Claude Brasseur as Loudéac’s son and assistant. At a more sentimental level, along the way Jo manages to pick up a rather scruffy but very cute little cocker spaniel, whom he dubs Sticky because he’s difficult to get rid of. Christiane Minazzoli as Adeline Archambaut. But, as noted, the movie isn’t altogether a comedy. Just for a start, the murder Jo is being hunted for is that of Mimi, savagely beaten to death after she’s spent a reconciliatory night with him and has gone to fetch her things back to his place. She’s arguably by far the most sympathetic character in the movie, and has been built up as such, so the fact that her life is cut short so brutally is painful. We feel, too, the pain Jo so sternly hides behind his gruff visage on learning of her death: she was more the pivot of his happiness than he’d ever have admitted to her while she was alive. Later, we realize that the bond that develops between Jo and Sticky is a sort of safer, less potentially painful replacement for the one that existed between Jo and Mimi: his love for a human led only to disaster, so he’ll love a mutt instead. There are some nice cameos from Pierre Le Rumeur and Pierre Asso as the fences Zanicek and Raton, and from Jacques Echantillon as Odile’s assistant, Thierry. Lucky Jo is a movie with a great heart. I enjoyed it immensely. 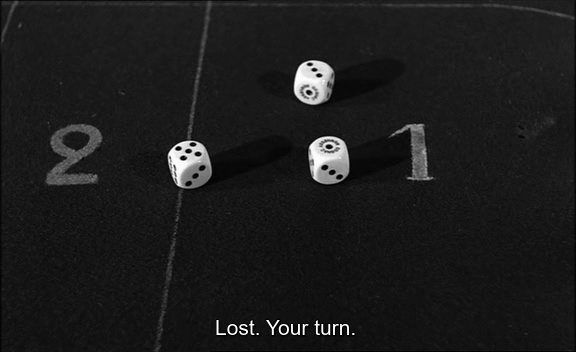 This entry was posted in Uncategorized and tagged André Cellier, Anouk Ferjac, Bernard Mongourdin, Christian Barbier, Christiane Minazzoli, Claude Brasseur, Donald E. Westlake, Dortmunder novels, Eddie Constantine, Françoise Arnoul, Georges Wilson, Jacques Echantillon, Jean-Paul Cisife, Jean-Pierre Darras, Jean-Pierre Moutier, Jean-Pierre Rambal, La MÔME VERT-DE-GRIS (1953), Lemmy Caution, Lucky Jo (1964), Main Pleine (1959), Marcelle Ranson, Michel Deville, Peter Cheyney, Pierre Asso, Pierre Brasseur, Pierre Le Rumeur, Pierre-Vial Lesou, Willy Braque. Bookmark the permalink. Sounds like fun, but I doubt I’ll cross paths with it unfortunately. I thought the movie was absolutely splendid. I do hope it crops up on TV for you, or something. This was a huge hit with the Roxie audience when we screened it in 2017 along with CET HOMME EST DANGERREUX as the festival opener for FRENCH HAS A NAME FOR IT 4. In addition to the superb cast, JO benefits from great bloodlines in the screenwriting side of things: Nina Companeez is the daughter of one of classic French noir’s most accomplished ecrivants, Jacques Companeez, whose credits include 30s gems like LES BAS-FONDS (Renoir) and PIEGES (pre-Hollywood Siodmak) and who wrote CASQUE D’OR for Jacques Becker. 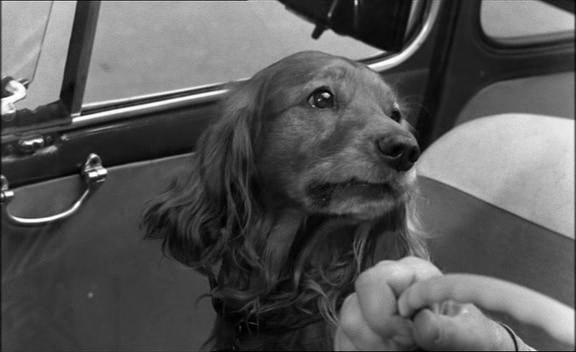 JO is a film that shows the breadth of French noir as it disperses with a burst of energy in the 60s—it’s just one more film that destroys the notion that the so-called “noir cycle” concludes in 1958 and that “genre conventions” were upended by A BOUT A SOUFFLÉ. 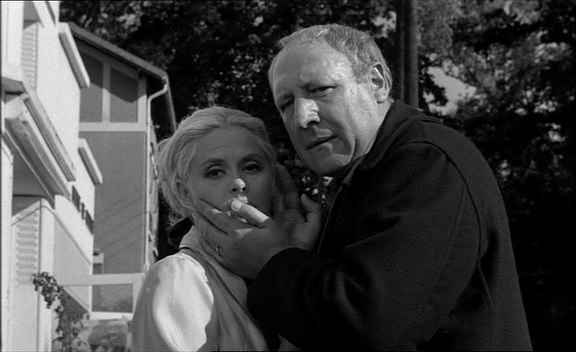 There are ~130 B&W French noirs in the 60s, pulling the genre in a series of astonishing directions. Golly, many thanks for all the additional information! I couldn’t agree with you more about the idea that there’s some sort of temporal limitation on the “noir cycle,” whether in French cinema or elsewhere. 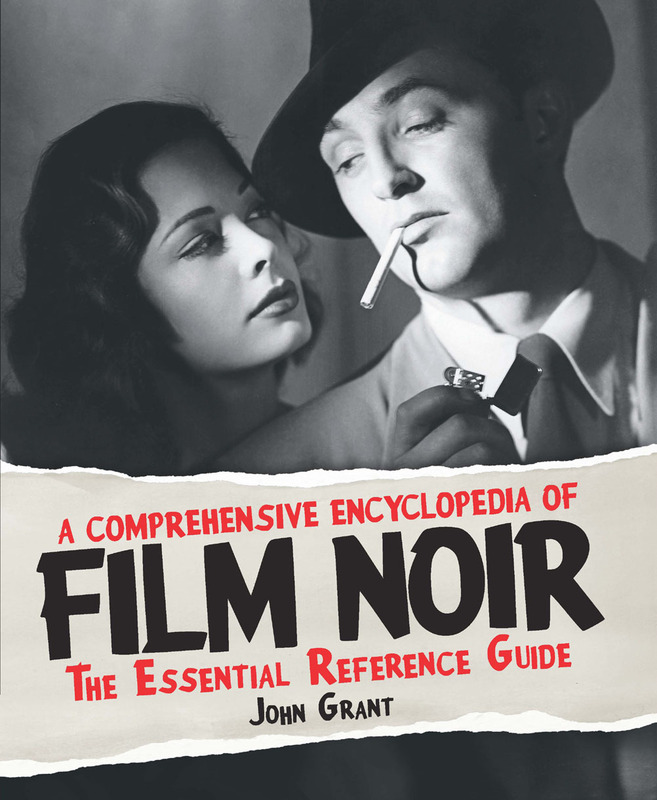 The output of noir has sometimes slowed to a trickle, but it’s never actually stopped.